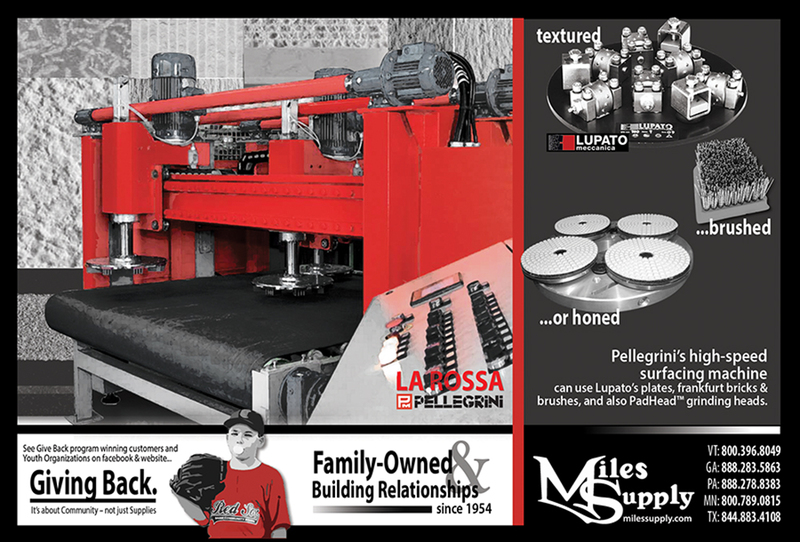 La Rossa Surfacing Machine runs 4 rotating heads on 4 independent bridges which makes for a wide range of finishes at a high speed! 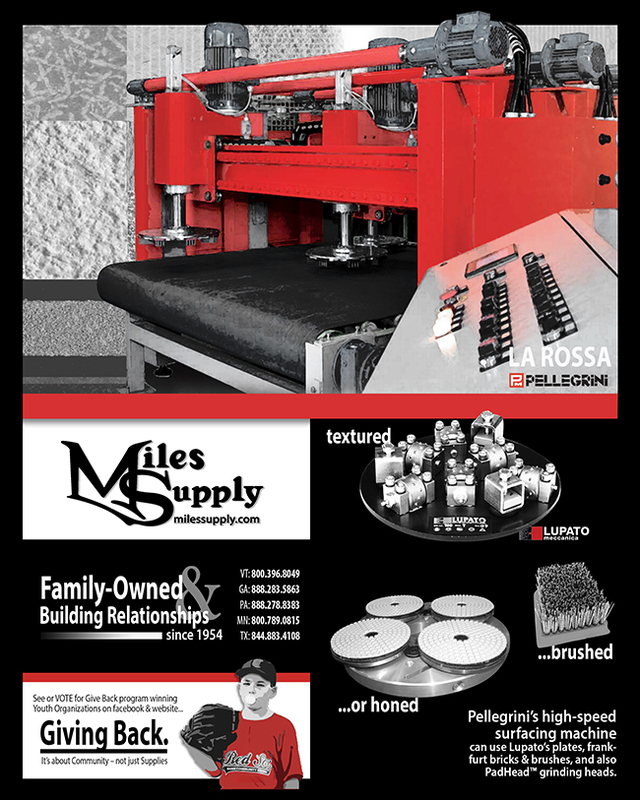 Can attach frankfurt bricks or brushes (for honing or a leathered, satin or antique finish), Lupato plates (for a variety of texture), Miles Supply’s PadHead™ grinding head with diamond pads (for hone or polish effect). This innovation saves set-up time and production time! See LaRossa video on YouTube. on marble are: comma, chamfering, roto bushammering, sandblasting, brushing, antiquing, polishing, and grinding. 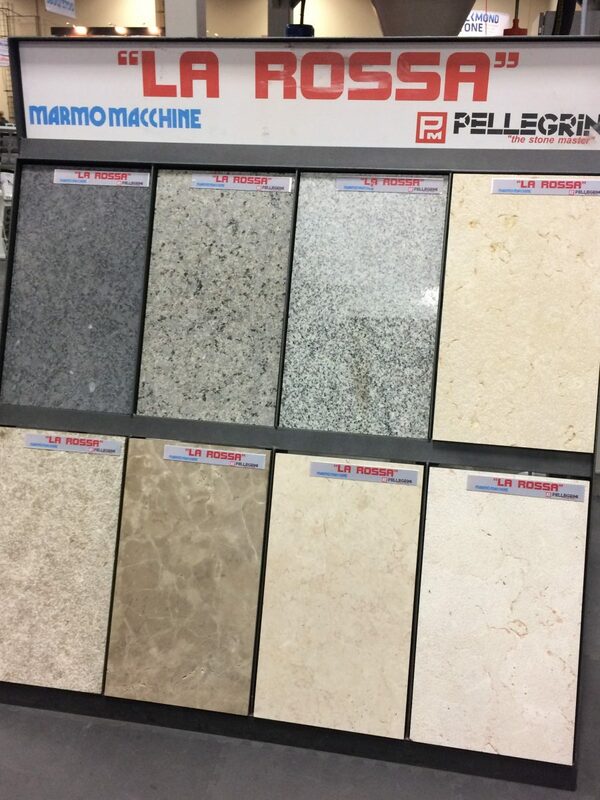 Treatments on granite are: roto bush-hammering, sandblasting, antiquing, polishing, and grinding. Click here and click again on the Request a Quote button.